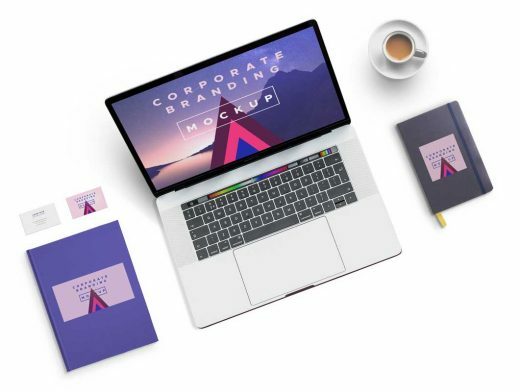 Friends, here’s a cool corporate branding mockup PSD template containing Macbook Pro, notebook, hardcover book, business card and coffee cup. This is a simple and clean mockup to showcase your brand identity beautifully. You can change the background and colors to compliment with your branding. Just use the smart-object layers and replace your own design content.